The Red Rosettes have a wide range of songs and can offer an entertaining and enjoyable performance for your event. Our chorus travels all over Lancashire to entertain people at many events and can also generously offer their time to provide singing taster workshops at functions, education centres and other events. The Red Rosettes strive to perform at the highest level and to keep developing and improving their singing and performance skills. 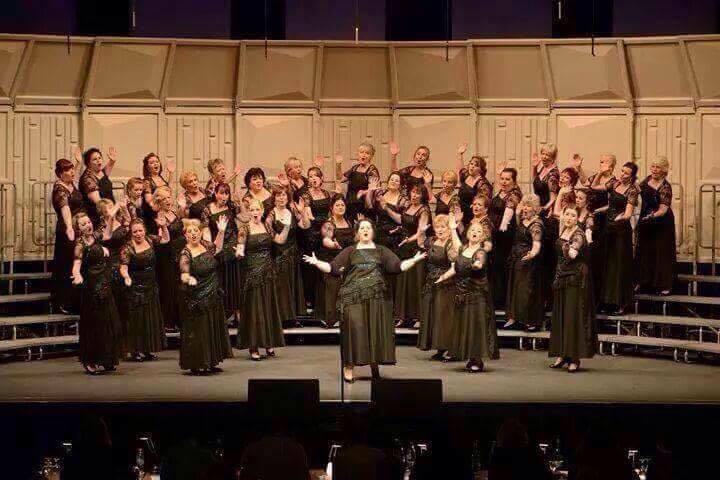 For women looking to learn to sing or develop their singing skills and be part of a highly regarded local chorus, The Red Rosettes is for you! Take a look at our website and see for yourself that we can sing, we can entertain and we can have fun!